If you are injured in a motor vehicle accident and you believe you have lost income as a result, then you will need to prove this claim to the at-fault insurance company and a jury if a trial is required in your case. It takes an experienced Covington Personal Injury Attorney to know how to effectively prove lost income so that you can be justly compensated. PAST LOST WAGE CLAIM: 1. Medical proof that the injuries suffered in the motor vehicle accident prevented you from performing your job. The medical proof will come from your primary treating doctor. If your case is being presented to an at-fault insurance company prior to litigation, the proof will come in the form of medical records and/or a medical report requested by your attorney establishing that your injuries prevented you from working. 2. Financial documents proving the wages you were earning at the time of the accident. If you were employed by a company or individual at the time of the accident, the financial proof will come in the form of past pay stubs or other records from your employer. If you were self-employed, the documents normally required are your past tax returns. Your tax returns will establish an average weekly or monthly income, which will allow you to calculate your lost wages. If you do not file tax returns or do not keep financial records, the proof of lost wages can be problematic. 1. Medical testimony that you have a permanent injury. Your medical doctor must testify that you have a permanent injury and that your injury will restrict your ability to perform certain jobs and functions. 2. Expert proof that your permanent injury will reduce your ability to earn income in the future. If your permanent injury prevents you from performing your current job, then you simply need to provide proof of your current income. If you injury does not prevent you from performing your current job, but will reduce your overall ability to earn income, you will need to hire an economist to prove this claim. This claim can be significant, but is not always accepted by the at-fault insurance company or jury. You will need an experienced litigator to make this claim an effective one. It is not necessary that you actually lose income to make a lost wages claim. It is only necessary that you are physically unable to work. Your employer may decide to pay you even though you are not able to work or you may use vacation time or other considerations to allow you to receive your normal income. You may have a disability policy to compensate you for your lost income, but, in Kentucky, this disability policy or your use of vacation or comp. time does not diminish your claim for past lost wages. 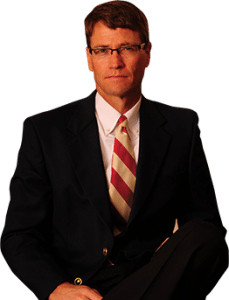 Contact Covington Personal Injury Attorney Matt Troutman of the Troutman Law Office for your FREE case evaluation by calling Matt directly or by clicking here.